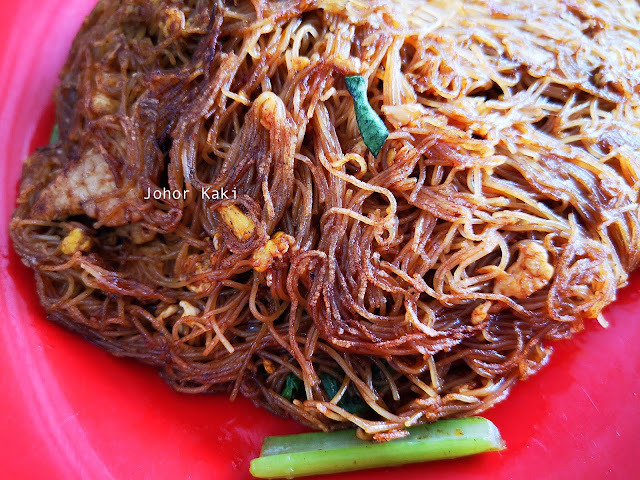 San Lou Dry Bee Hoon 三楼干米粉 is one of Johor Bahru's iconic dishes. I first tasted and blogged about JB San Lou Dry Bee Hoon in 2011, and have eaten it numerous times since. 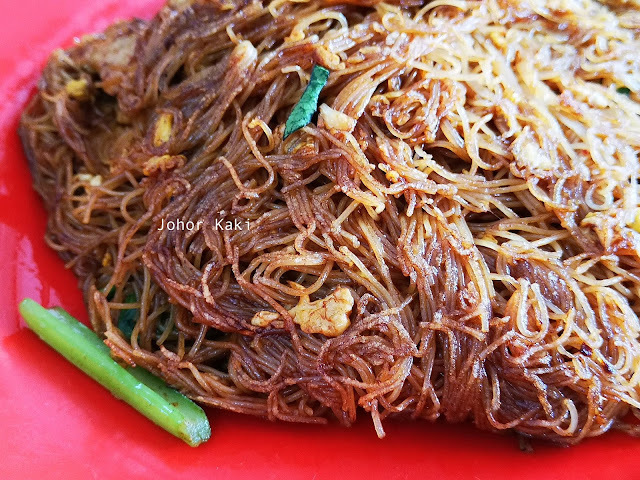 Since 2011, I had hoped to interview Ah Kaw 亚九, the creator of JB San Lou Dry Fried Bee Hoon. I finally met the legendary hawker today, after more than 7 years. Even though I make it a point to interview the hawker in all my blog posts, people who know me personally know that I am a very shy person. 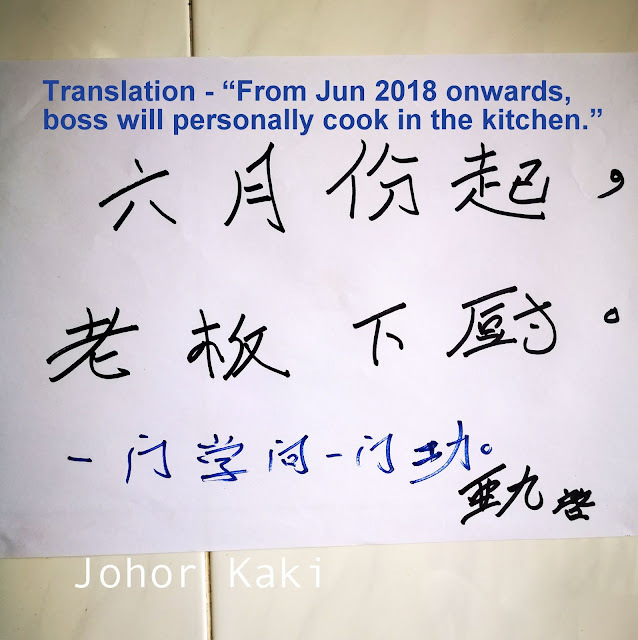 Even now, I still need to pluck up courage to start a conversation with a hawker. Hence, the long awaited meeting with Master Ah Kaw. 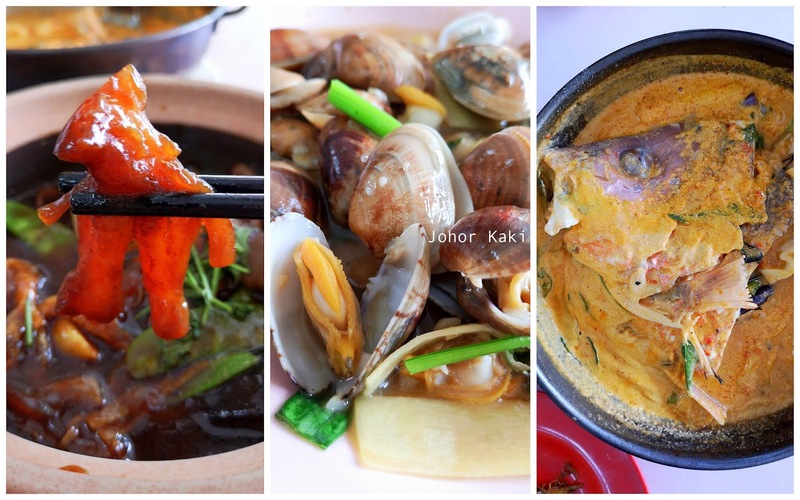 The braised pork tendon, fried la la clams, and curry fish head were all pretty tasty. The mound of bee hoon was fried to a slight caramelised crisp outside. The caramelised bee hoon had a slight spring to the bite. The bee hoon noodles were well infused with savoury flavours which burst in the mouth when we chewed on them. Ah Kaw is a Teochew restaurant, so we can't leave without tasting their orh nee 潮式芋泥 (Teochew yam paste dessert). 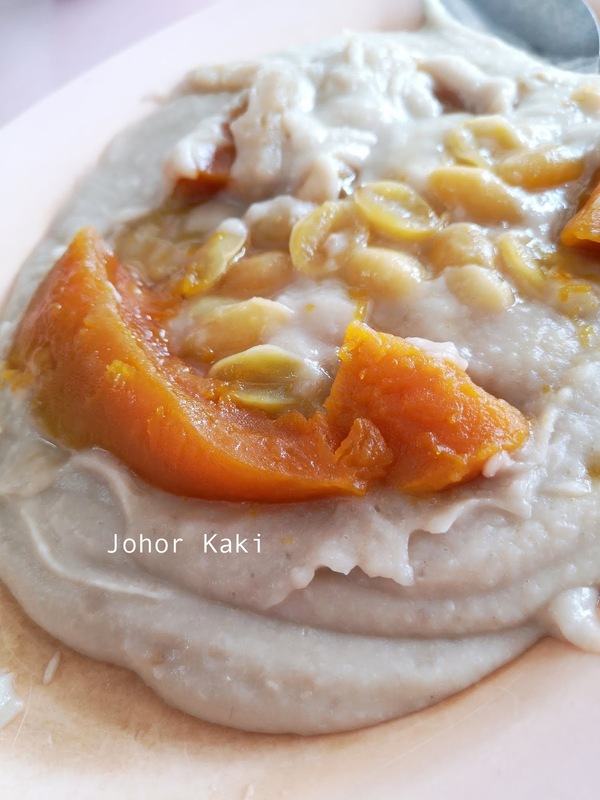 The sweeten yam was layered with sweetness from pumpkin and ginkgo nuts. There's lard and aromatic shallot oil folded into the paste for savoury sweet balance and smoothness. It's nice as the smooth paste was tasty yet not overly sweet. 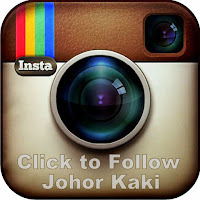 It turned out that Ah Kaw is a very affable, outgoing gentleman, and we had a nice chat. 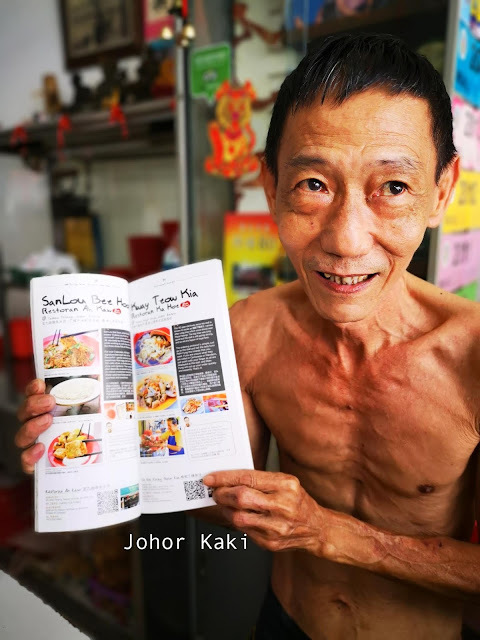 Ah Kaw was delighted that his creation, San Lou Dry Bee Hoon was featured in Find Dining with Johor Kaki (published 2016). 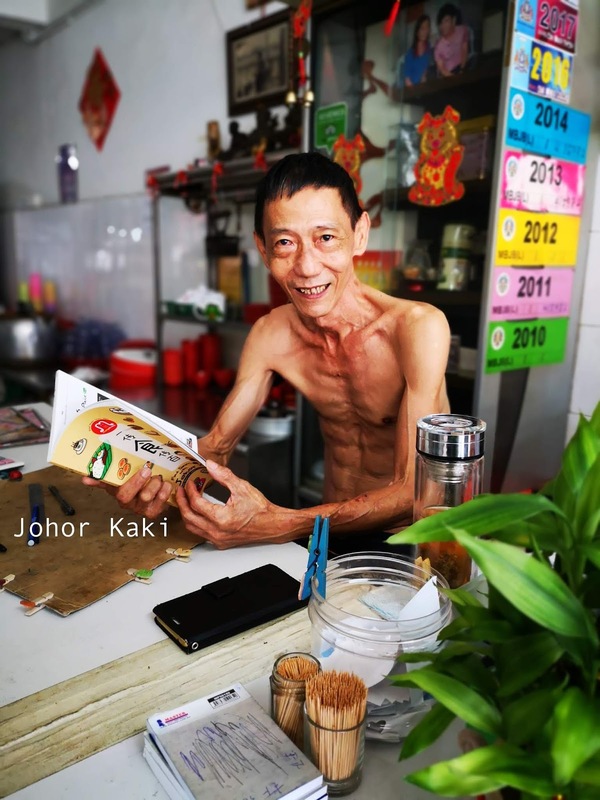 For the story of San Lou Dry Bee Hoon, we have to go back forty years, to the old three storey flats off Jalan Stulang Darat. The weathered old flats are still there today. 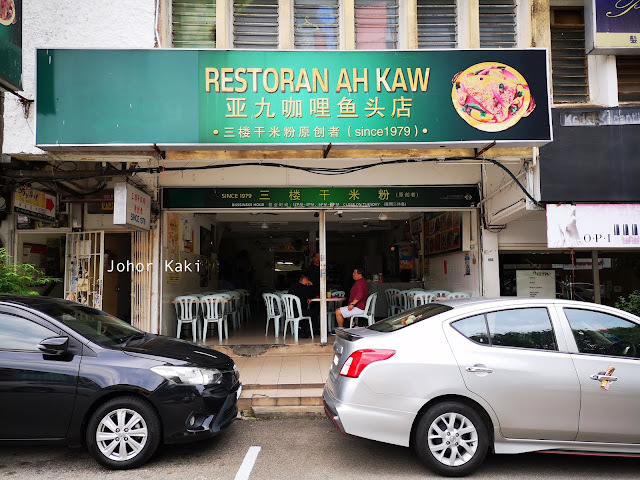 San Lou Seafood Restaurant which is now in Taman Pelangi was one of the shops at the ground level of this three storey block (right beside Come and Eat Teochew Porridge which is still here and thriving). The young Ah Kaw was the cook responsible for frying the noodle dishes at San Lou Seafood Restaurant. Under pressure from his boss to create a tasty fried bee hoon dish in the fiercely competitive zhi char 煮炒 market, Ah Kaw created San Lou Dry Bee Hoon with simple ingredients. 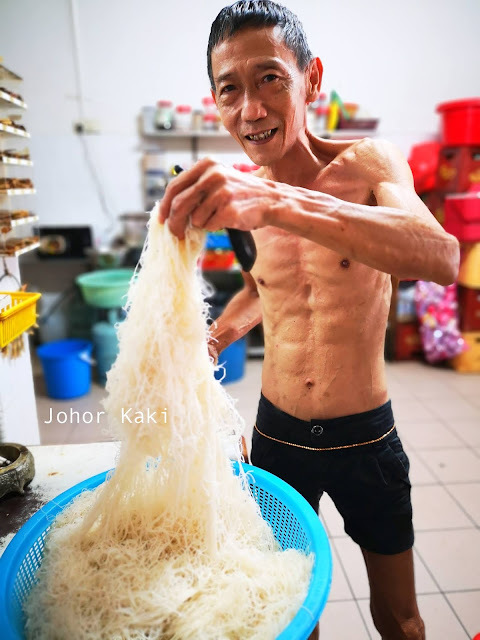 It took Ah Kaw one month of trial and error, and 80 kilos of bee hoon before he perfected the technique. 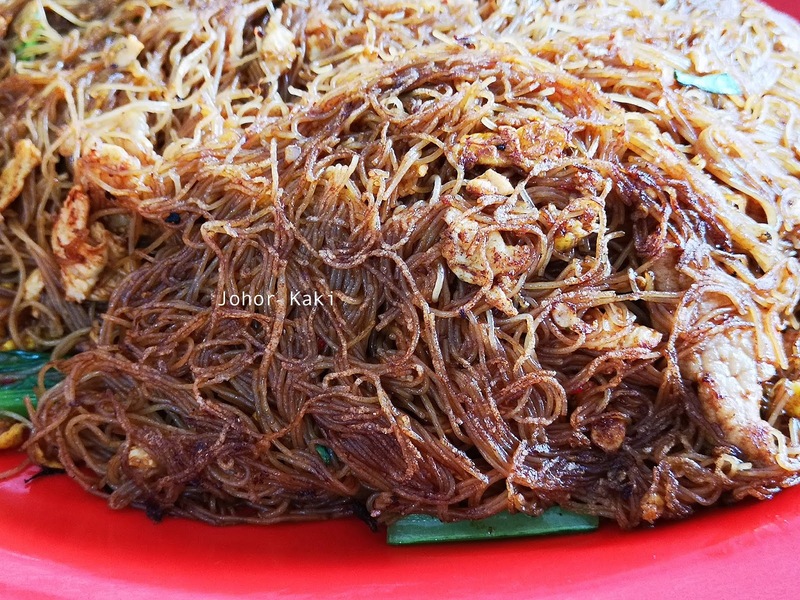 The urban legend that it was burnt bee hoon created by accident is not true. San Lou Dry Bee Hoon was the result of young Ah Kaw's perseverance and ingenuity, luck had little to do with it. 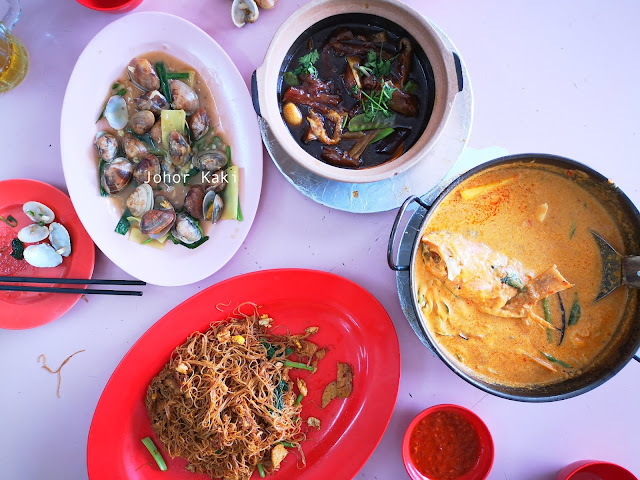 Over the years, several restaurants serve San Lou Dry Bee Hoon in Johor Bahru, and even in Singapore. The skill of frying this JB icon has been passed down through generations of chefs at San Lou Seafood. Ah Kaw's own relatives serve it in their restaurants in Taman Iskandar and Johor Jaya (Rosmerah). No price shown on the menu. Beware if you order seafood. Really cannot make it in many ways. Personally, we don't find them good any more.